I recently attended a hardship hearing at the Florida Bureau of Administrative Review office in Tampa, FL, in Hillsborough County. These hardship hearings can occur after an administrative suspension for a first DUI (either for 6 months or one year) or for a permanent lifetime revocation after a fourth DUI (or anything else in between). I thought it might be helpful to share information with other criminal defense attorneys in Florida about what happens during a typical hardship hearing. The goal of the hearing is obtaining a class C business purposes hardship license or a class D employment purposes hardship license. If you plan to attend the hearing with your client, it might be a good idea to go over the script with them ahead of time so they know exactly what to expect. Although an attorney can attend the hearing, the hearing officer will tell you not to make any statements or participate in the hearing once it begins. The hearing officer will read from a script marked as “HSMV 78302 S” also known as the “Hearing Officer Report / Script.” According to the form, the script was last revised in October of 2006. During the hearing, the hearing officer will both read from the script and fill it out. That report will be placed in the subject’s file and it operates as a summary of what occurred at the hearing. The hearing itself is audio recorded. So what happens after you request a hardship hearing? The hearing officer will greet you and ask you to have a seat. The hearing officer will inform you that the hearing will be recorded before turning on the tape recorder. I am ___[name of hearing officer], HSMV Field Hearing Officer. This hearing is regarding the suspension / revocation for ___[type of susp / rev]___, with effective date of _______, with an expiration date of ______. Your hearing today is an informal proceeding of an administrative nature, therefore, judicial procedures do not apply. Florida Statute 322.271 gives the department the authority to conduct your hardship hearing. This hearing allows you and the department an opportunity to evaluate your driving record and to determine whether a hardship license should be granted. Before we begin this hearing, I must place you under oath. Please raise your right hand. Do you swear or affirm that the testimony you are about to give is the truth, the whole truth, and nothing but the truth. For the record, please state your full name, date of birth and your current address. The hearing officer will then ask any witness, criminal defense attorney or interpreter in the room to identify himself or herself for the record. Then the hearing officer will ask a series of questions so that he or she can fill out his report. If so, is your spouse employed? What days do you work and what hours do you work on each day? What is the name and address of your employer? The hearing officer will then note whether he or she has checked the Commercial Driver’s License Information System (CDLIS) and Comprehensive Case Information System (CCIS), offered by Florida’s Clerks of Court. The hearing officer will then review the subject’s driving record and discuss both current and past violations on the transcript. The hearing officer will also inform the subject of the consequences resulting from future or similar violations (such as points, revocations, suspensions, or designation as a habitual traffic offender). 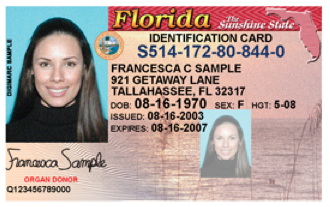 In many cases, the subject might have another suspension or revocation in another state or country that is not showing up on the Florida driver’s license. If the subject does not want to disclose this information to the hearing officer, then he or she should not request a hardship hearing. In some cases, it might just be best to forgo the hardship hearing and just wait to reinstate the license until after the suspension is over. Have you ever been licensed in another state or country? If yes, what state or country were you in when the revocation or suspension occurred? Be aware that if that revocation or suspension is not showing up on the driving record, then the hearing officer make take steps to request that the out-of-state revocation or suspension be added to the Florida driving record. Have you ever been convicted of an alcohol-related offense in any other state? Has your privilege to drive ever been suspended or revoked in any other state or country? Do you have any violations / convictions / revocations / suspensions that have not been mentioned? Do you understand what caused the revocation / suspension of your driving privilege? Were you incarcerated as a result of this revocation / suspension of your driving privileges? What did you learn in the ADI / DUI School? How can you prevent future violations from occurring? [Don’t drive without a license and don’t drink alcohol]. How have your driving needs been met since your suspension / revocation? For what reason did you operate a motor vehicle? At this point, the hearing officer might discuss any F.R. (financial responsibility) Suspension. The hearing officer might also note whether the subject has a good or bad attitude (so tell your client to have a “good attitude”). The hearing officer will indicate whether the subject failed to submit. Whether the request was denied, the reason, and the reconsideration date. The Hearing Officer will also talk with the subject about any requirement for the ignition interlock device and other conditions required by DUI special supervision services (if applicable). The Hearing Officer will note whether the person has completed ADI, DUI School or another requirement, the completion date or the enrollment date. The bottom of the form also has a section for comment and the amount paid for the reinstatement or license fee. Finally, the form has a place for the hearing officer to sign. Disclaimer: This article, written on Tuesday, August 11, 2015, explains what might happen at a hardship hearing for a business purpose class C or employment purpose class D hardship license at the Florida Bureau of Administrative Review office in Tampa, Hillsborough County, FL. Similar procedures might be used at the other BAR offices throughout the State of Florida including the Bureau of Administrative Review office in Clearwater, FL. This article is for educational purposes only. If you need legal advice, then seek out the services of a qualified DUI Attorney in Florida to discuss your case. This entry was written by lsammis, posted on August 11, 2015 at 13:45, filed under administrative suspension, Business Purpose Only, Employment Purpose Only, First time DUI offenders, Tampa DUI Attorney and tagged bureau of administrative review, business purposes, employment purposes, hardship hearing. Bookmark the permalink. Follow any comments here with the RSS feed for this post. Post a comment or leave a trackback: Trackback URL. I have had one hearing, I was denied because I was not currently employed even though becoming employed would be a lot easier if I could drive to potential jobs. Have been unable to get a definite answer to when I can return for another hearing. So if you are going to have a hearing, be legitimately employed when you have it. Can anyone tell me how long I have to wait until I can have another hardship hearing. I have been doing my homework on HTO 5 yr. revocation procedures and laws in reference to getting a hardship license. Your websites have helped me more than any others I have read. My situation is different than most. I have never had an actual DL. But, have been to prison for DWLS Habitual, twice now. I have not driven since 2016, the 2nd time I was sent to prison. I made a decision that it just wasn’t worth it. Like I said, I’ve never had an actual DL but have racked up driving offenses in a dozen at least counties starting from Miami Dade county all the way up to Jacksonville. So you could imagine the fines I owe. I would like to know when I go to this BAR hearing in Tampa, what should I expect? Will they have expected me to pay all the fines prior to my appt? I already completed the ADI course and received my certificate. I am employed by a family member, and have not received any charges since 2016,. The 5 years is up in 2021, for HTO, FR & controlled Substance substance revocations. But the 2 years for the Controlled Substance revocation has passed in back in Aug 2018.If possible could you give me any advice? Maybe answer a few of my concerns, and even your opinion if possible. I hope to hear back soon. If not, I still would like to thank you and your team because I learned quite a few things since I stumbled upon your website. I wish I was the financial resources were in the positive, because I would choose your team to have my back, for sure!